Digital signages are multimedia displays with multiple applications. It could display community-relevant information and advisories in public spaces or marketing and promotional advertising. When used as a brand building tool, it displays product or service information or video advertisements. Tech-savvy consumer markets are on the rise. This new generation uses smart devices to search for products and services. These types of customers are accustomed to multimedia promotional tools that utilize a mix of content. 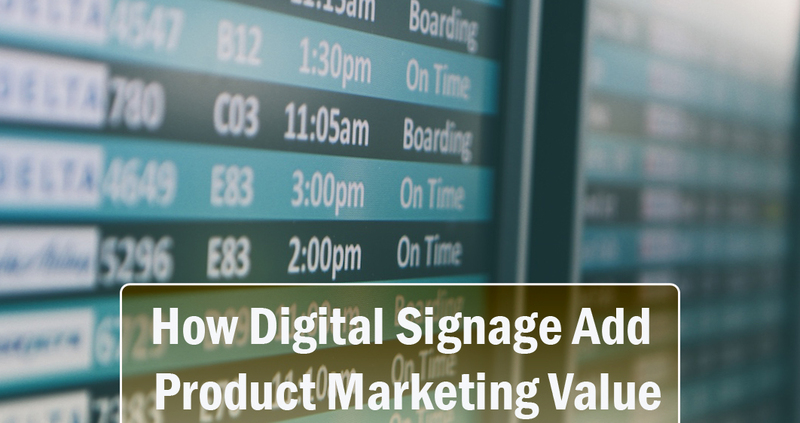 Digital signages cater to their evolving interest. Investing in a digital system and digital signage software could be a cost-effective option. The digital signage infrastructure typically requires hardware, equipment, and software components. These include the LCD/LED screens, the content management platform, and audio equipment. With the system in place, businesses can control and manage their display network through the connected program. The software also provides the flexibility and ease in tweaking content. Once changes have been made to the material, it can be simultaneously streamed across the display network using the software program. Old-school advertising had limitations. With their static displays, they can only advertise a set of content. In order to add information, the business would have to commission another set of signages. Digital signages provide content flexibility. Unlike static marketing displays, digital signages allow businesses to change their content as often as they want. They can also combine text, audio, and video content in their campaigns. With this feature, businesses are assured that their promotional campaigns are always attuned with current trends. It also projects the message that the business understands customer needs. Digital signage technology has seen a growth in the past few years. The global digital signage market is also projected to increase in the future. A long-term forecast for the market predicts that the industry will peak at nearly $22 billion by 2020 due to the increase in customer demand. Digital signages have the power to customize the advertising experience. Some of these displays are highly interactive. This is a great service to the customer who prefers to navigate the information on their own terms. Businesses can integrate other components into the display, such as social media links and other information. Technology created a cost-effective way for businesses to reach out to their dedicated customers. It also created new opportunities for businesses to establish new customer groups through digital signages. When the content streamed through digital signages are well-made, it could potentially spur interest from potential customers.